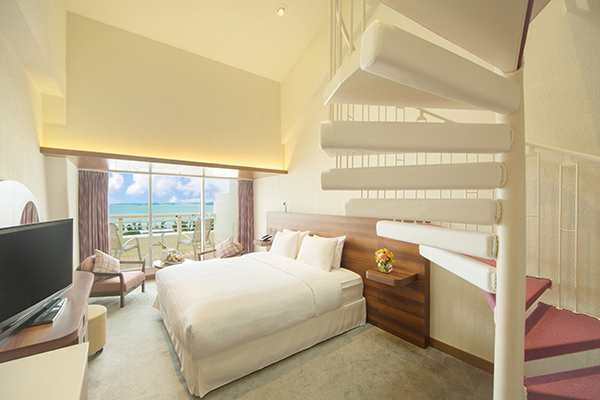 After becoming the latest Sheraton property to grace Okinawa's Onna Village, the Sheraton Okinawa Sunmarina Resort with its brand new guest room wing now sports 246 guest rooms, additional fine dining options and excellent amenities. 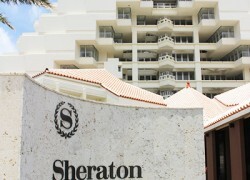 With a full spa and new wellness center, the freshly renovated Sheraton--known formerly as the Sunmarina Hotel--remains a modern oasis of comfort and luxury in one of the most beautiful areas on Okinawa Island – a stretch of soft white sand fronting a crystal blue sea that was given an AA designation by the Japanese Ministry of Environment. 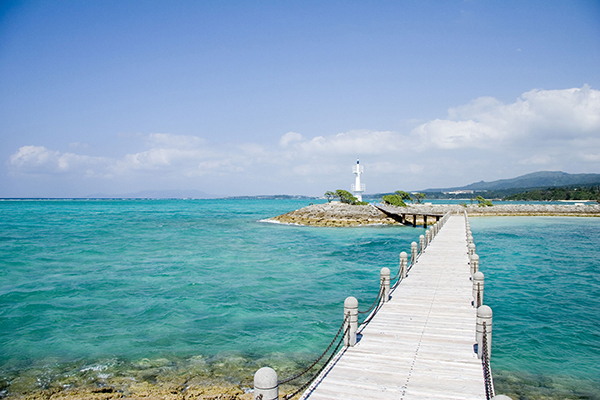 Sheraton takes full advantage of these picturesque surroundings by providing marine activities such as snorkeling and scuba diving programs, jet boat cruising and fishing. 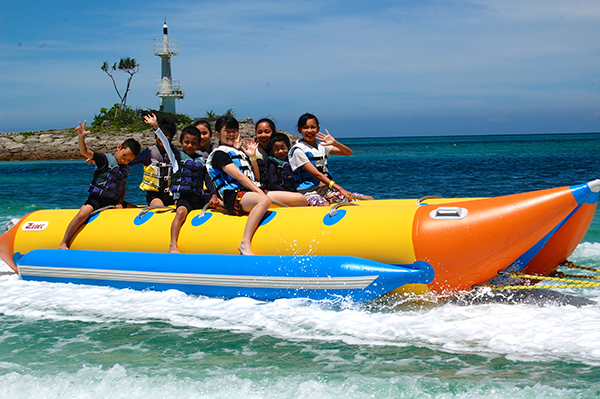 The range of rental equipment is impressive and includes banana boats, windsurfing equipment, sailboats or simply towels and beach chairs for a day on the sand. For folks who are more comfortable with land-based activities, there is a miniature golf course and even basketball courts. Opened in December of 2016, The Grill restaurant offers a fine dining option featuring delectable meats, vegetables and seafood grilled before your eyes in a spacious ocean view main dining room. Like all of Sheraton's culinary options, The Grill features the finest in locally-produced ingredients served from 18:00-22:00, nightly. Dining Room SENSES, which starts the day with international breakfast and lunch buffets and boasts dishes made from mostly locally grown, caught or harvested ingredients. Breakfast is served from 7:00-10:00, daily while lunch is available from 11:30-14:00. 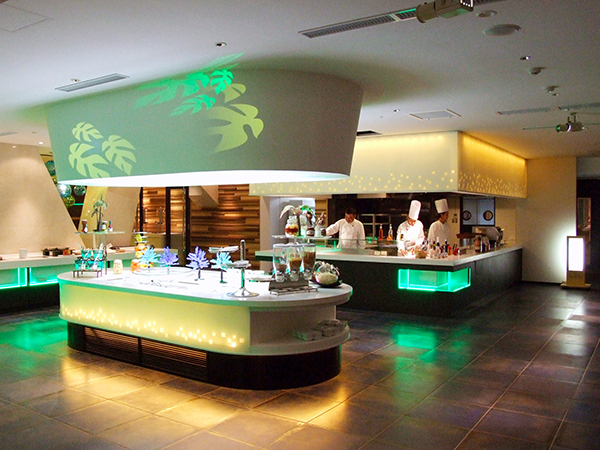 There is a dinner buffet service as well from 18:00-22:00, but also courses that include Western and Japanese cuisines featuring dishes such as steak and lobster or aguu pork shabu shabu. The Atrium Lounge is open from 10:00-23:00 daily and features light meals and drinks. 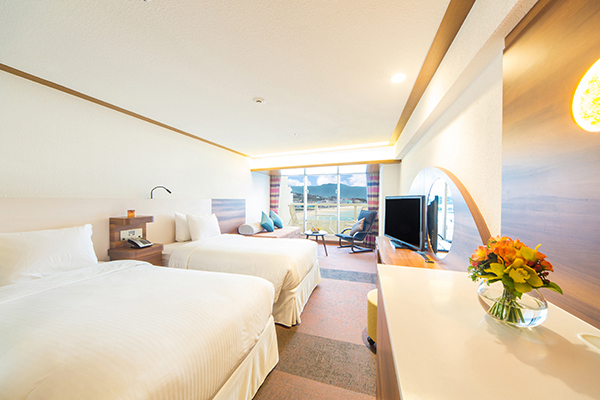 The new Sheraton has a newly opened Wellness Center with an indoor pool, bath and gym has something for the tourist or the weekender in all of us. 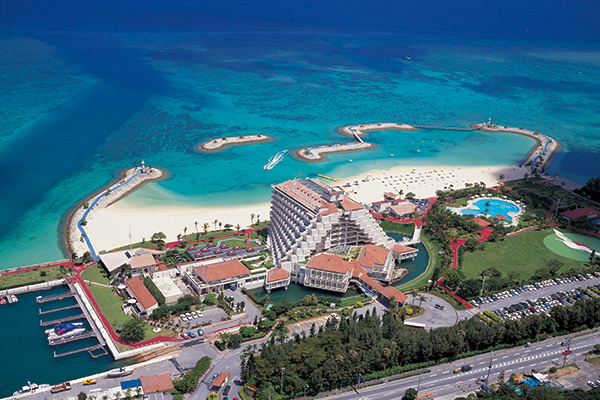 Inbound visitors will find the Sheraton Okinawa Sunmarina Resort a terrific place to vacation or have a drink drink in one of Japan's most picturesque locations. 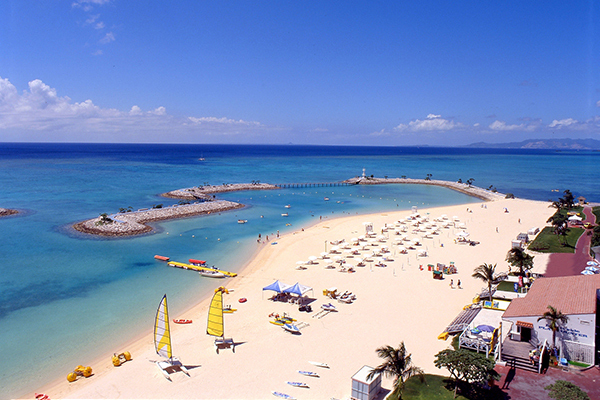 Okinawa residents as well will enjoy the great number of activities and excellent dining options.